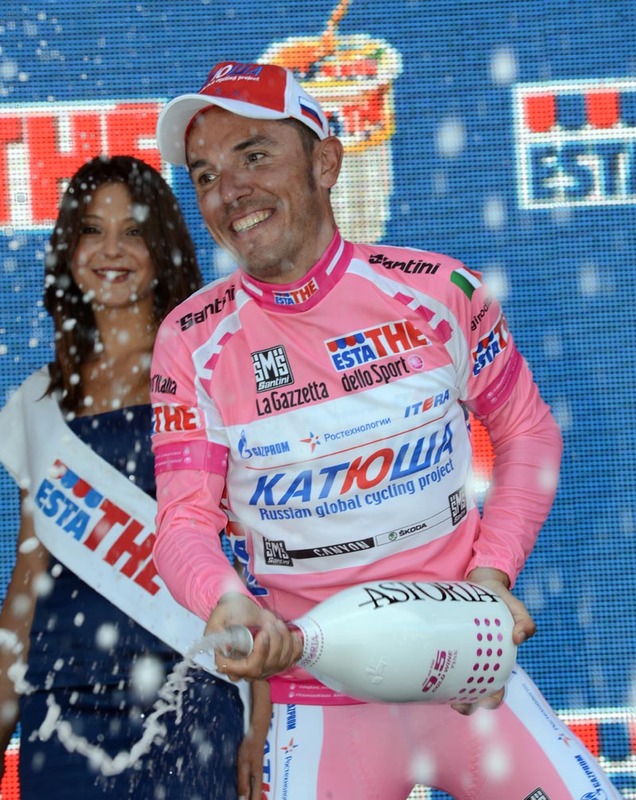 Italian sprinter Roberto Ferrari won today’s stage of the Giro d’Italia, this time with a perfect bit of bike riding. One week ago the Androni-Giacattoli was the pariah of the peloton after he veered wildly to his right, causing Mark Cavendish and race leader Taylor Phinney to crash heavily, today Ferrari nailed it. The tight finish in Montecatini-Terme had crash written all over it, with narrow roads and tight left and right hand bends to negotiate inside the last kilometre. Far from being the rider to avoid in the melee, today Ferrari was the one to follow. Tucked in behind Cavendish, Ferrari flew through the final right hand bend with 300m to go and immediately got the jump on the world champ. Cavendish had been following his team mate Geraint Thomas – who was behind Pete Kennaugh and Thomas Vaitkus – but had to make a split second decision to follow Ferrari out of the corner instead. But Cavendish couldn’t get the Italian riders wheel and looked to be labouring too big a gear to accelerate out of the corner after he’d lost too much speed. The peloton had already done a lap of the finishing circuit so Cavendish knew what was coming, and learnt back in his days as an amateur to use a finishing circuit as practice to get his gearing correct. Getting a big gear turning after 255km in the saddle isn’t easy, and the Brit only managed fourth place in the sprint – the first time he’s been beaten in a sprint since stage three of the Tour of Oman in February. Those 255kms made for the longest stage of the race, and one that few riders seemed interested in racing. The obligatory escape formed but they never got too far, and with 40km to go the bunch had to let the gap go back out so as not to catch them too early and then have to work harder still to control proceedings. Manuele Boaro looked good as he rode away from the escape, but even his time trialling skills couldn’t keep the peloton at bay as the sprint teams sniffed another win. 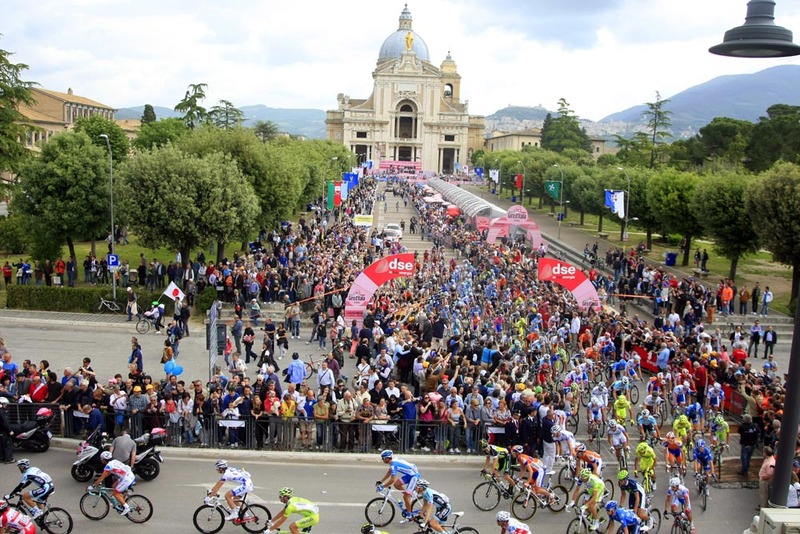 On the lap of the finish town a testing little 2.9km climb created a minor panic as Roman Kreuziger and Michele Scarponi jumped on to the back of a little leading group, but they were never more than a stones throw away from the front of the bunch. Sky and Saxo Bank weren’t going to let anything get away, neither were the teams of the other GC contenders, and it was soon all back together over the top of the fourth cat climb. Cavendish was near the front over the climb and so looked to be in good shape. All that was left was for him to finish it off – even the omens were on his side; the last time the Giro finished here in 2003 Mario Cipollini won in the rainbow jersey. But it wasn’t to be. It’s a rare sight, seeing Cavendish beaten in a sprint and it’s not something he enjoys. All the worse seeing the rider who decked him last week with his arms in the air. Cav’s consolation came as he took the sprinters red jersey from Matt Goss who finished over ten minutes down today. 2. 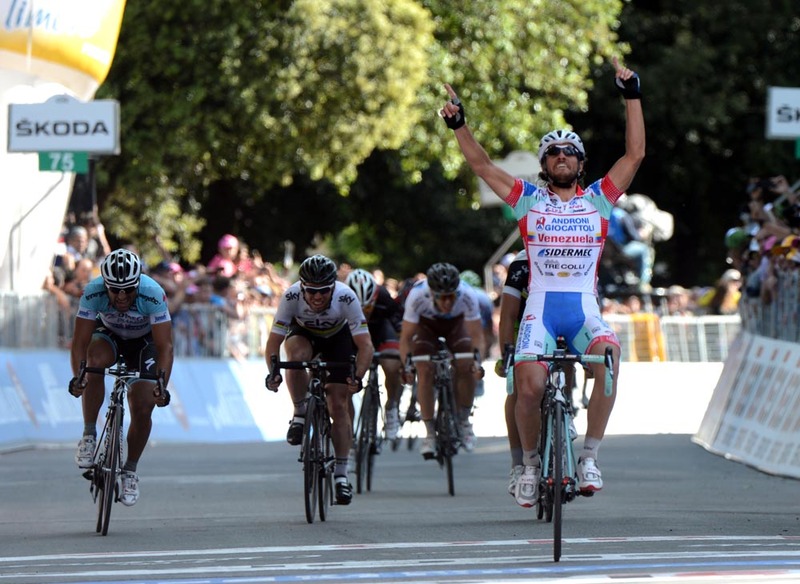 Francesco Chicchi (Ita) Omega Pharma-QuickStep s.t. 3. Tomas Vaitkus (Ltu) Orica-GreenEdge s.t. 4. 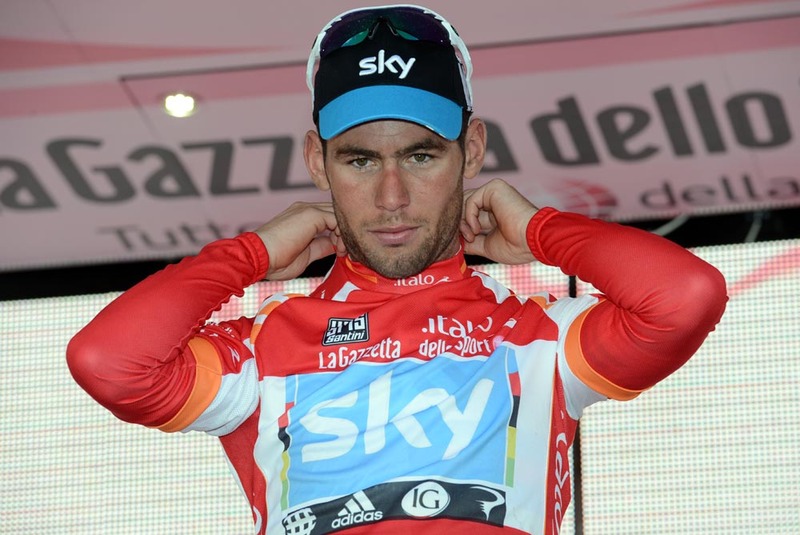 Mark Cavendish (GBr) Sky s.t. 5. Manuel Belletti (Ita) Ag2r-La Mondiale s.t. 6. Giacomo Nizzolo (Ita) RadioShack-Nissan s.t. 7. Daniel Schorn (Aut) NetApp s.t. 8. Arnaud Demare (Fra) FDJ-BigMat s.t. 9. Danilo Wyss (Sui) BMC Racing s.t. 10. Geoffrey Soupe (Fra) FDJ-BigMat s.t.